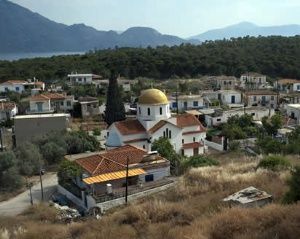 Limenaria is one of the four villages found in Agistri, along with Milos (capital), Skala and Metohi. 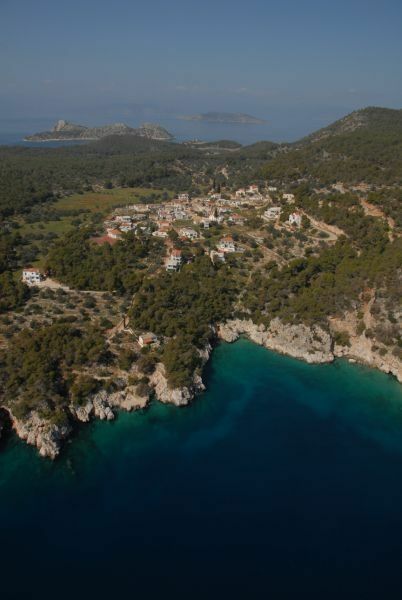 It is surrounded by olive trees and offers stunning panoramic views of the Saronic Gulf islands. 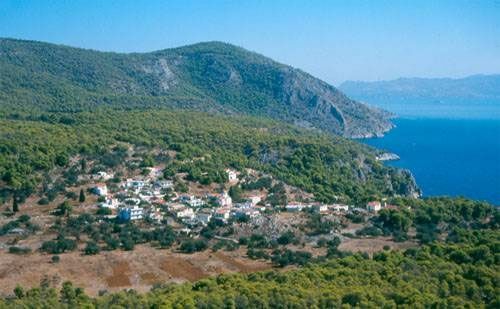 It lies on a hill at the northwestern coast of the island at approximately 10 minute drive from Skala (main port). This short trip to Limenaria offers beautiful forest and sea views. This village was founded in the 17th century and is an example of pure Greek country living, with small houses with lovely gardens and narrow winding streets. It is a residential area with no touristic infrastructure. 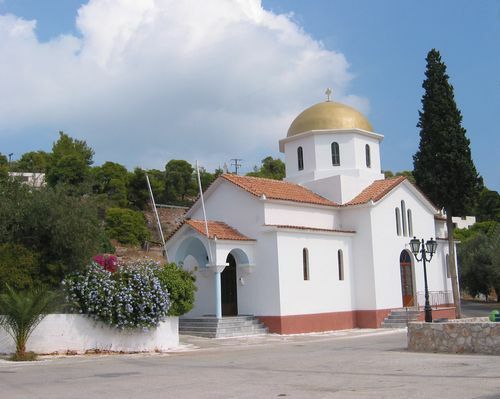 In the center of the village lies Agia Kyriaki, which is a simple church with an impressive golden dome. The village has a taverna which is considered as one of the best in the island. It is simple but serves excellent Greek cuisine. 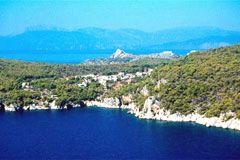 The paved road which Milos (Megalochori) with Limenaria ends to Aponissos, which lies right opposite on the southern coast. There is a sign which leads 'to the beach". However there is no actual beach in Limenaria. The sign leads to a concrete platform known as Marisa (Mareza), which is used for sunbathing and diving. 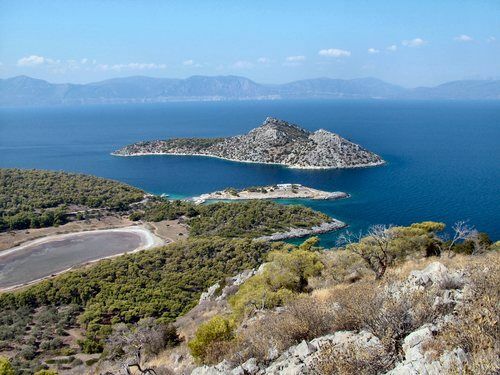 About 1km east of Limenaria, after the tiny chapel of Agios Nikolaos and behind Aponissos, there is a small salty lake which is mostly dry in the summer.